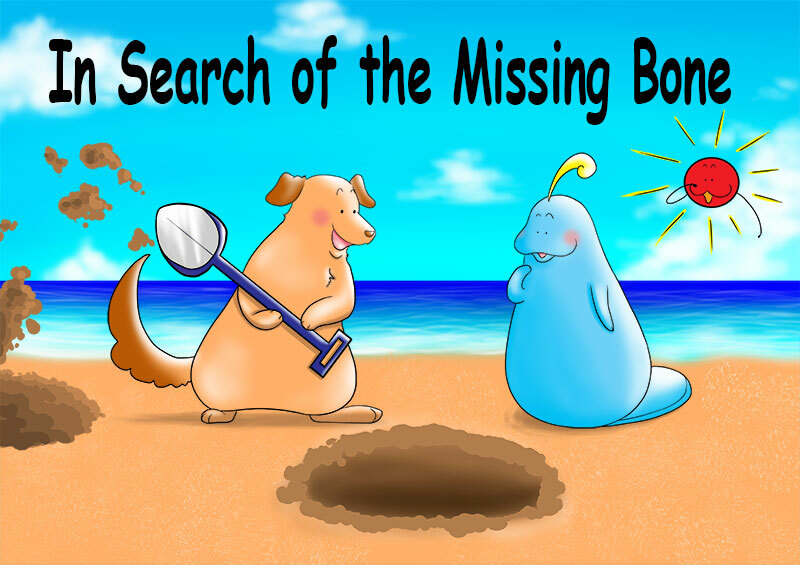 Every story in this playful children’s picture book series can be enjoyed online as a free PDF eBook, audiobook, and read aloud video. These cute stories also include free related activities that help kids improve their reading comprehension skills as well as encourage speech and language development. Discover Doozy Moo! How it works: Kids read, listen, and/or watch one of our books. Then they do activities based on the children’s book they just read. 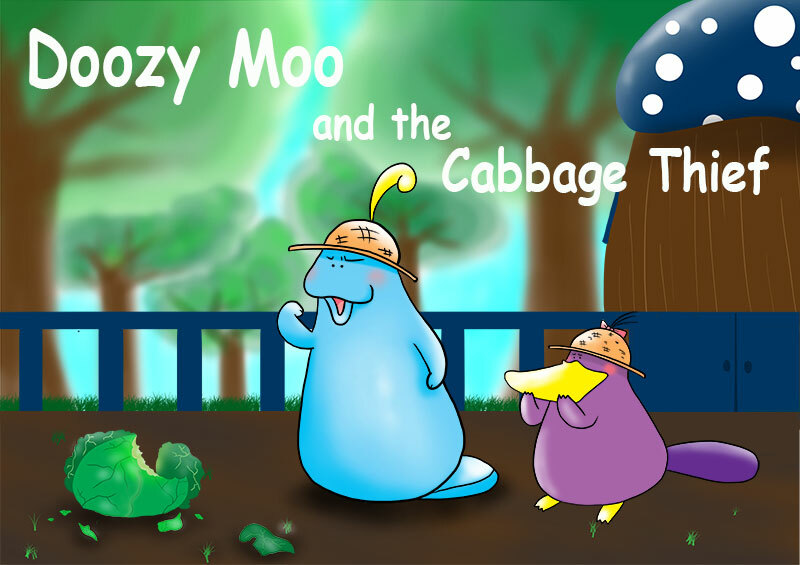 Doozy Moo has a problem when cabbage starts to disappear from his farm in this cute short story with a moral lesson. Follow Doozy Moo through an adorable adventure as he and his neighbor Pop use their problem-solving skills to catch a funny thief. This beautifully illustrated children’s picture book teaches kids two very important moral lessons: do not steal and the benefits of forgiveness. This will be the second story in the first series of Doozy Moo’s children’s books. The book is finished but we are currently in the process of recording the audiobook and read aloud video. We will post this story here and on Patreon once the production phase has been completed. Thank you for your patience! Our children’s picture books are narrated by a full cast accompanied by original music for a theatrical reading experience. The text is shown as the book is read giving kids the opportunity to improve their word recognition skills. The author/illustrator plays an important role in these recordings as the voice of Doozy Moo and several other major characters. This gives her the chance to tell the stories with the humor and playfulness that was originally intended. A highly cited study found that some parents felt their storytelling abilities were lacking. While these parents probably just need a confidence boost, watching well-produced read aloud videos should help. Our digital storytelling can give parents an idea of where to add sound effects and when to use inflection. They can also learn what pacing and voices might work best as the story progresses. Teaching Tip: You can instantly turn our read aloud videos into books by turning off the sound. Kids can read along as the pages flip through the stories. We publish PDF eBooks of our short stories in a way that is easy to read on just about any device. If you have access to an e-reader, tablet, smartphone, or computer, then you can read a children’s book in the PDF file format. In fact, if you are reading this, you are only seconds away from reading one of our stories. Reading Tip: The best way to read our PDF eBooks on smaller devices is to use landscape mode. We publish high-quality audio versions of each children’s book. These recordings feature a full-cast of actors, original music, and sound effects. They help bring the story to life. You can listen to our audiobooks online using the SoundCloud player found below each story on our website. You also have the option to download the MP3 file and listen to the book offline. This is especially handy if you take a lot of family road trips. Teaching Tip: Kids can improve their listening comprehension skills by completing the free activities that go along with each audiobook. Do You Need Bedtime Stories for Kids with Pictures? Doozy Moo’s picture books have all the characteristics needed to make a great bedtime story. My dad who loves sailing would tell me to think about the ocean when I had difficult time falling asleep. Well, Doozy Moo lives on a beautiful tropical island surrounded by an ocean that has endless shades of blue. The different characters that appear in every tale make it easy for storytellers to change voices which can help keep children entertained. This is a fantasy world filled with cute animals that all have a pleasant disposition at the end of the day. Most stories take less than ten minutes to get from problem to resolution. Lastly and possibly the most important element of a great bedtime story is a happy ending. This puts kids in a relaxed mood, making them more likely to get a good night’s sleep.